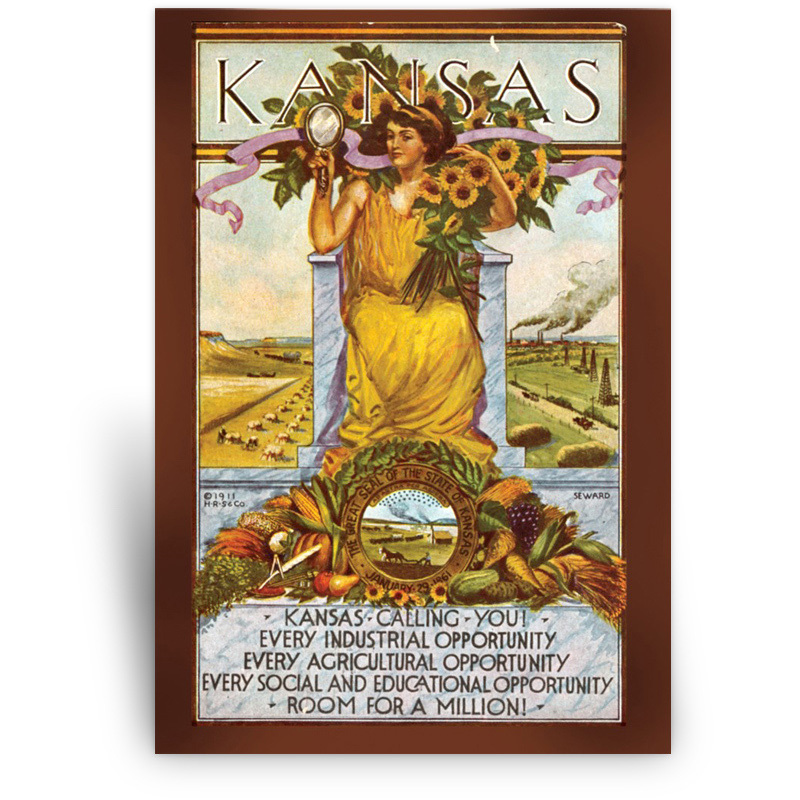 This 1911 colored promotional postcard encourages people to come to Kansas. Promoting the state’s prosperity, a figure embraces a bouquet of sunflowers, the state flower. The state’s bounty lays at her feet near the Great Seal of Kansas, while the industrial and agricultural opportunities are pictured in the background. From the collections of the Kansas Historical Society, the print was produced for the Kansas Historical Foundation.